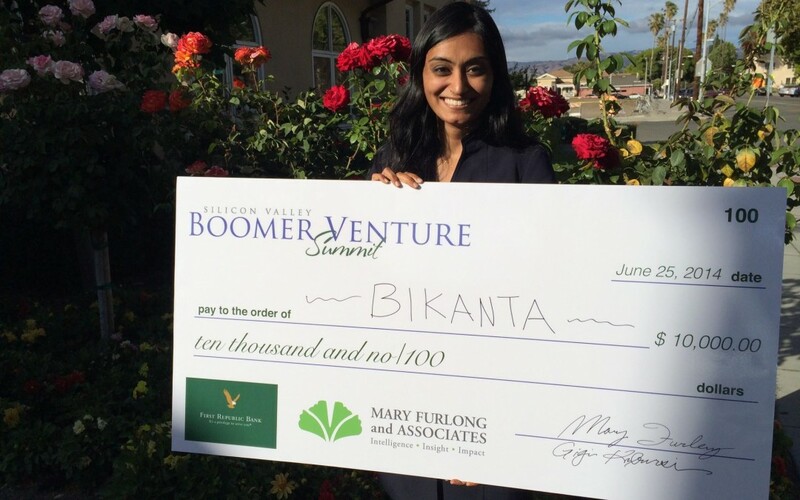 After an exciting week at the Boomer Silicon Valley Venture Summit, Bikanta took home first place in the Business Plan Competition. The Summit brought together corporate executives, angel investors, venture capitalists, journalists, and economists to discuss the expanding demands of a growing aging market. Through forums, lectures, and panels, experts explored topics such as the implications of the Jobs Act, Affordable Care Act, targeted journalism, investment strategies, and evolving trends in the senior market. Supported by Mary Furlong and Associates (MFA), the Business Plan Competition works to support businesses that seek to capitalize on the technological, economic, and healthcare needs of the Boomer generation. Having proceeded to the final round, Bikanta presented their business ideas in front of a panel of judges, eventually winning the grand prize along with $10,000.